TheBlueGuerilla: EXCLUSIVE: Tories on By-Election Red Ed Balls Alert in Morley and Outwood. EXCLUSIVE: Tories on By-Election Red Ed Balls Alert in Morley and Outwood. NEWS at the weekend that Ed Balls is on the verge of quitting politics for good has sent Tories into a frenzy. Former Lincoln University student Antony Calvert came within a whisker of causing of causing the biggest upset of 2010 General Election Campaign. Now it seems as though they're wasting little time in preparing for next time around with sources telling tbg that Ed Miliband has had enough of his third choice Ed Balls, the big money is on John Cruddas and a by-election very soon. 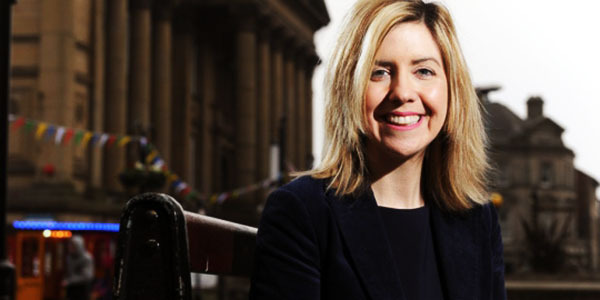 So much so that working class Tory Candidate for the constituency Andrea Jenkyns is to start campaigning in earnest on Thursday. CF have already held a regional action day for Andrea two weeks ago and a good number of CF members attended her official campaign launch at the weekend. Yorkshire CF will do everything we can to help Andrea take this seat. Andrea was absolutely charming when I met her. Hope she shows that socialist bell-end where to go.